Being located so closely to a big city like Milan can be tough for the tourism trade. However, the quaint size of Bergamo, its classic Italian layout, and its breath-taking views offer something different to the person travelling through Italy. 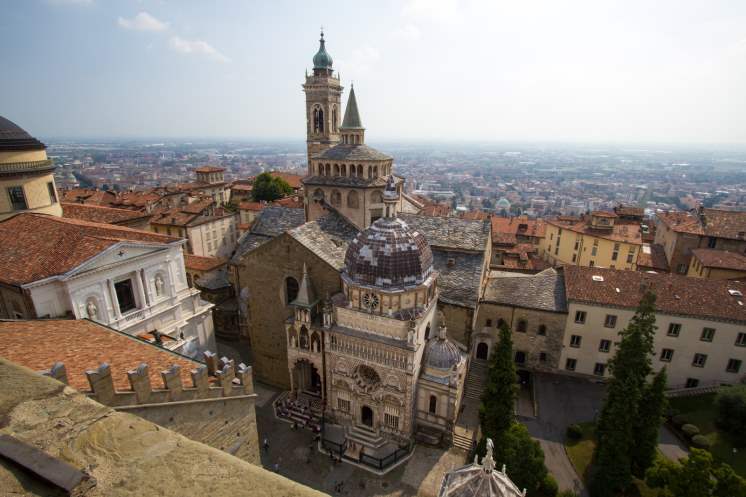 While places like Rome and Milan can become inundated with museums and commerce, Bergamo tends to be more quiet and diverse. Here, the old world has not given way quite so drastically to the new world, and strong Catholic culture still runs deep. 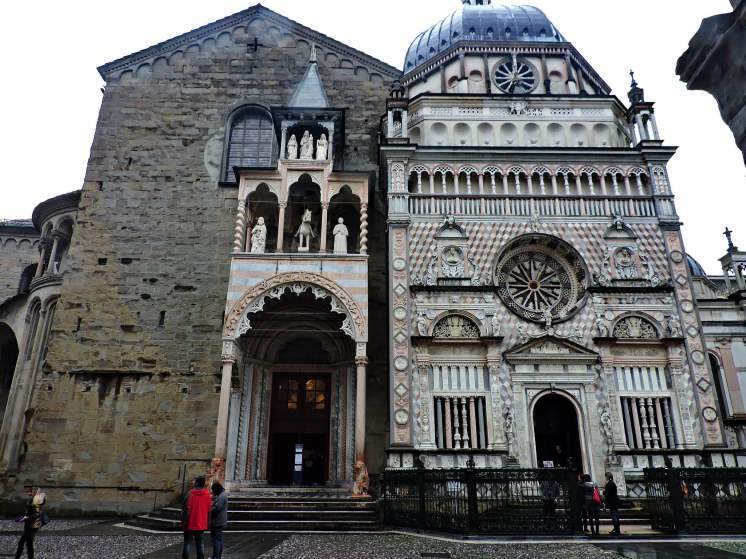 When visiting Bergamo, keep these ten most popular sites in the back of your mind. The name of the church perhaps came from the church that it was built on top of – one that was dedicated to St. Mary. Located in the upper portion of town, it towers over the surrounding buildings. While the interior houses Romanesque style, the exterior shows the extensive history of the region. The church itself was completed by the end of the 14th century, though many additions were added on to this. It is crucial to the understanding of the culture to include the churches of Italy on tours. 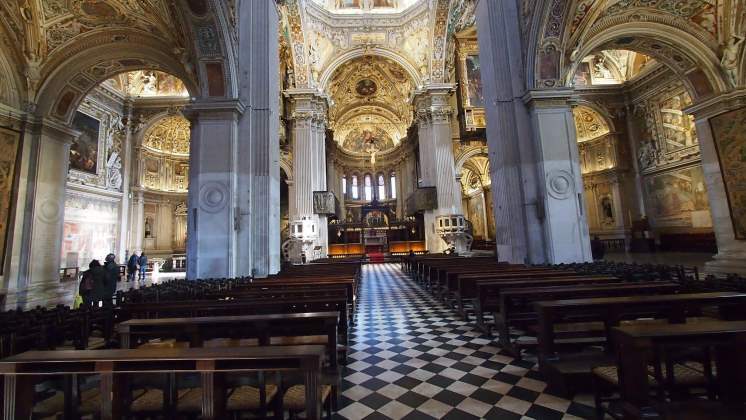 Because Santa Maria Maggiore is one of the oldest ones in Bergamo, it is an excellent place to start. The big draw to this cathedral is that it doubles as a mausoleum. Although the remains of Bartolomeo Colleoni, the patron of the church, was believed to be buried outside of the church, it later turned out that his remains were housed in the sarcophagus located in the church. As well as its interesting mausoleum status and its draw for religious pilgrims, the church is also abundant in art. Most interestingly, reliefs showing both biblical stories and ancient Roman stories show the clash between old and new beliefs. Age might be a factor in this cathedral's popularity, as it dates from the early 1000's. However, art-loving tourists flock to this cathedral due to its interior. Its ornate ceilings and walls are gilded baroque designs. Located in Piazza Duomo, this cathedral is open every day but Monday. Disabled travellers are welcome here, and tours are available. 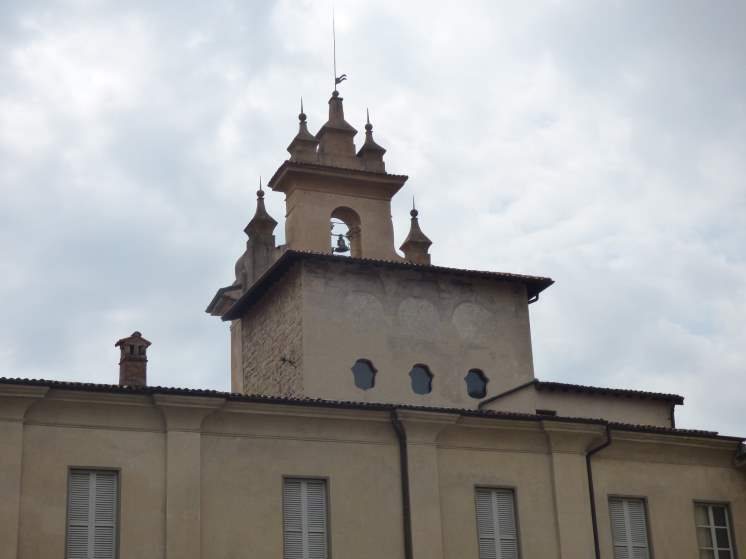 While Canto Alto is not for every traveller, it is an important part of any trip to Bergamo. 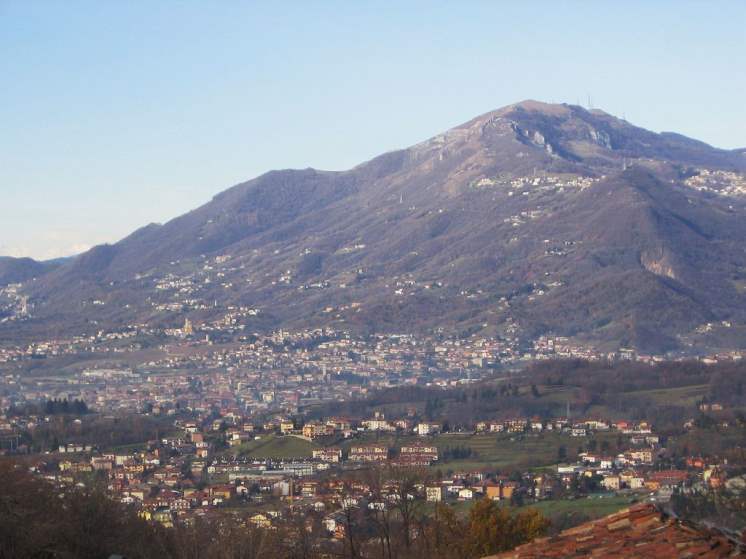 Canto Alto has an elevation of 3,670 feet and is part of the Bergamo Alps. 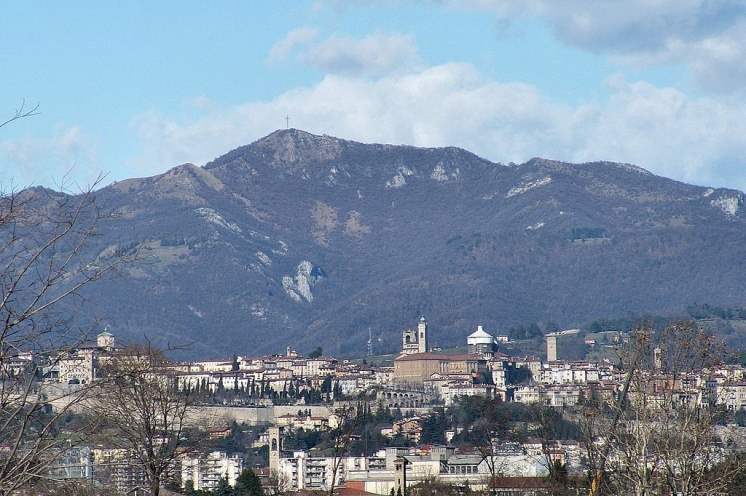 It looms over Bergamo, and from its peak are some of the most beautiful views of the town and surrounding areas. A hike from the city centre to the top of the mountain is about 14.5 miles, and depending on your hiking speed, can take 6 hours to complete. This popular visit is a popular place for tourists (and their children) to spend a day of interactive learning. While still receiving the hospitality of local Bergamo, the visitor of the museum is offered a stimulating foray into nature and science. With adult and child-friendly exhibitions on Zoology, Palaeontology, Earth Science, Human Sense, and Ethnography, it is easy to spend a day entertained here. The Natural Science museum is located near the police station in the Northern part of town. 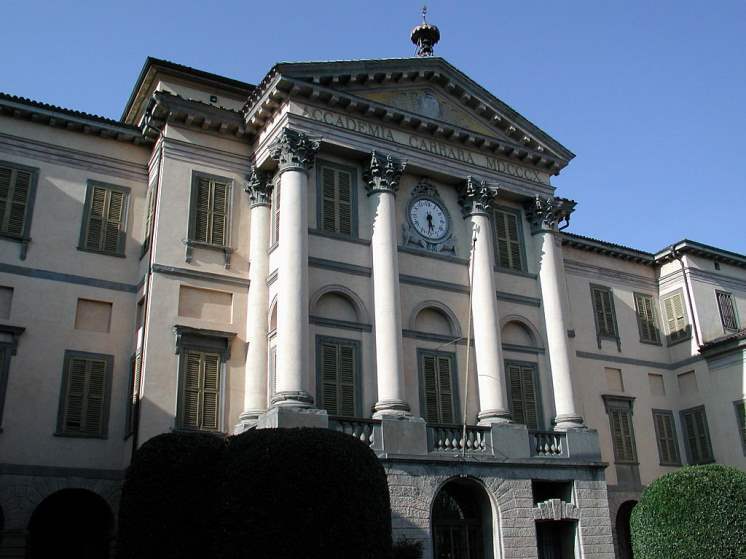 This is Bergamo's foremost art gallery and academy of fine arts. While you stroll the grounds of the academy, make sure to check out the galleries inside. Showcasing the finest in Italian contemporary art, the academy also offers lectures and rotating exhibitions. While a lot of the art is visual, there are also musical and performing art exhibitions that are available all year round. While this amusement park is not located directly in town, it is often associated with Bergamo. Faunistic Park Le Cornelle is host to a zoo with a special mission. The park aims to preserve captive wildlife. They work closely with the European Endangered Species Program to ensure that all animals are treated well. 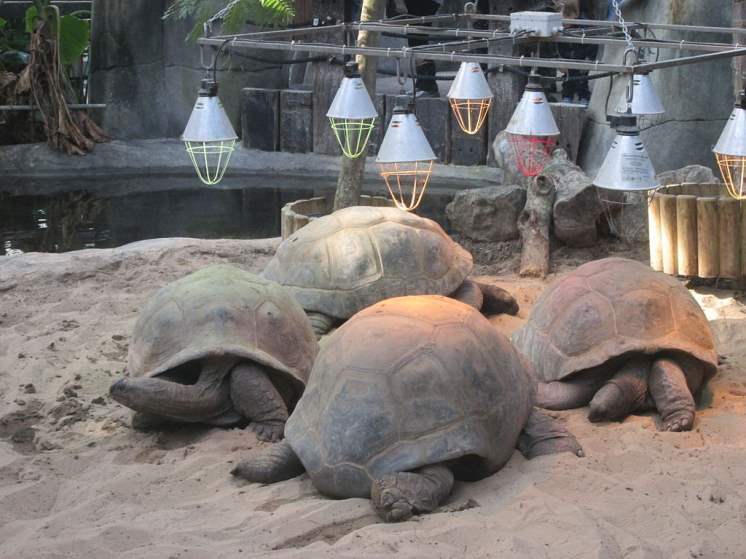 What this means for visitors is that they will get to see exotic and wild animals roaming about the large facility. Additionally, the park has the largest aviary in the whole of Italy. Drive North from Bergamo to get to this animal paradise. 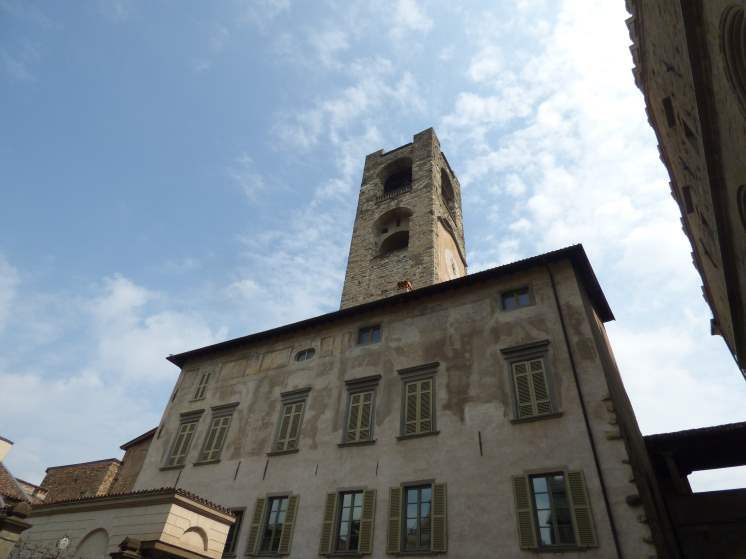 Back to the city of Bergamo, the Civic Tower, or "Campanone", awaits. The tower is a whopping 52 meters high. Visitors have the option to climb the tower or to take an elevator to the top. From the top of the tower, you can see both city squares. Tours are available of this area to highlight the history of the tower and the area, but visitors can also do this themselves. The tower stems from a time when aristocrats used compulsively build towers to compete for power. Unlike the towering mountain, Maresana hill is a small hill to the North of the city that is a fairly easy to climb for most climbers. The hill itself contains a plethora of city history, and also contains the church of Saint Mark. Thanks to the preservation work among the park staff, the woods are well-maintained and offer a covered hike. Most of the trees are chestnut trees that were planted by local farmers of Bergamo and the surrounding towns. A climb to the top of the hill offers a view of the surrounding three towns, as well as rolling green woods. 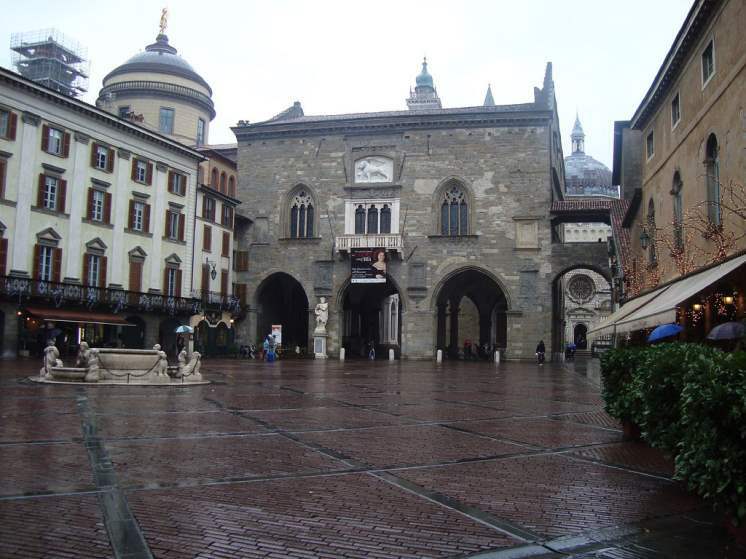 Piazza Vecchia is the most social place in the city of Bergamo. While it was where major city politics happened, today it is a bustling place for everyone from locals to tourists to meet, talk, and people-watch. In Piazza Vecchia, you will be surrounded by historic buildings and old houses. However, you will also be able to visit bars, dine out, and do shopping. This Piazza is built on the ruins of an old Roman Forum. Although nothing is left of this time, the spirit and the community of the ancient forum echo within the sounds of modern life.